Kids need more than isolated, individual nutrients to boost their brains and school performance.There are big-picture benefits to eating a balanced diet rich in fruits and vegetables, whole grains, and fiber. Antioxidants include a large variety of compounds found in a large variety of whole foods. Antioxidants in foods have been linked to improved memory and brain function8. Even in the same food, antioxidant levels can vary depending on how the food is grown. Organic foods , on average, are about 30% higher in antioxidants than are their non-organic counterparts9. That means each organic serving may be packed with more valuable nutrients. Talk about extra credit! Organophosphates are the most commonly used insecticides in conventional, chemical agriculture. These chemicals act as nerve agents, and have been linked to neurodevelopmental problems10. Organically grown foods are produced without the use of toxic pesticides such as organophosphates. Choosing organic foods for children can immediately and significantly decrease their exposure to organophosphate pesticides11. That’s good protection for the developing brain-it’s elementary. Some are afraid school children would have to eat unfamiliar or unappetizing foods in order to make a difference. Not so! A February 2006 study12 conducted by Dr. Chensheng Lu and colleagues demonstrated an immediate and dramatic ability to reduce organophosphate pesticide exposure by making simple diet changes in elementary school children. The researchers conducted this study using typical suburban children. They collected morning and evening urine samples daily from each child. Pesticide breakdown products appeared routinely in the urine samples. Then the researchers made a simple change: the elementary school kids began eating organic versions of whatever they were eating before. For example, if they typically ate apples, now they got organic apples . Only if there was a simple organic substitution available for what the kids were already eating, did they make a switch. The kids didn’t have to learn to like any new foods. Within 24 hours, pesticide breakdown products found in the urine plummeted! They continued this way for five days, with clean urine samples morning and night. Then the kids went back to their typical suburban diets. The organic foods were taken away. And immediately the pesticides returned. These elementary school children went back to a chronic low-level exposure to organophosphate pesticides from the diet. 8 Jama JW, Launer LJ, Witteman JC, den Breeijen JH, Breteler MM, Grobbee DE, Hofman A. 1996. Dietary antioxidants and cognitive function in a population based sample of older persons. The Rotterdam Study. Am J Epidemiol 144:275–280. 9 Benbrook, C. 2005. Elevating antioxidant levels in food through organic farming and food processing. The Organic Center State of Science Review. 10 Slotkin TA, Levin ED, Seidler FJ. 2006. Comparative developmental neurotoxicity of organophosphate insecticides: effects on brain development are separable from systemic toxicity. 114(5):746-751. 11 Benbrook, Greene, Landrigan, Lu. Opportunities to Reduce Children’s Exposures to Pesticides: A Truly Grand Challenge. A Symposium at the American Association for the Advancement of Science Annual Meeting. February 2006. 12 Lu C, et al. 2006. 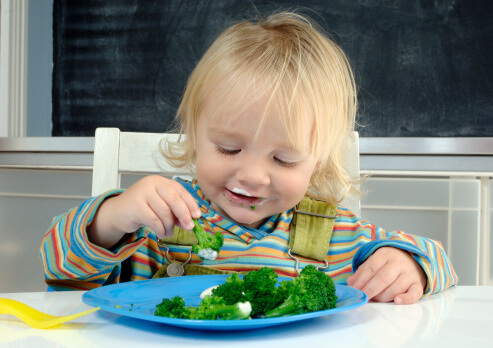 Organic Diets Significantly Lower Children’s Dietary Exposure to Organophosphorus Pesticides. Environmental Health Perspectives. 114(2):260-263.